Looking for Midsize luxury, near luxury SUV. 6'4", 50 yr. Old. Don't like doing deep knee bends getting in and out of a vehicle. Like thigh support, especially on long drives. 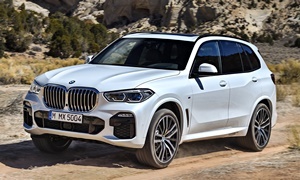 I have looked at 2014 BMW X5. Like interior, worried about maintenance cost and reliability. 2014 Acura MDX, front legroom tight. My knees almost touch the dash. QX60 looks like a station wagon. Grand Cherokee, reliability concerns and everybody owns one. I have a 34" inseam and can easily stretch my left leg in our 2016 Buick Envision. And that is with panoramic sunroof providing plenty of head room as they tend to eat up vertical space. Our Envision Prem ll has driver side adjustable thigh extenders and a cushy leather seat for long drives. The cooled and heat seat is a must for me. daefulton - your comments are pretty much accurate. BMWs do have issues over time in durability. Some are electrical in nature. However, since the 2014 redesign they have been better over the last four years than past models which were much more problematic. This is according to TrueDelta and Consumer Reports which the data is always suspect at CR but when they don't show issues it means no one is reporting issues as their tolerances are very low to showing issues in their ratings (as low as 1% on small, statisically insignficant numbers). Acura, Nissan, Jeep - all out - got it. You will have to test drive these options I suggest for comfort but they are all fairly relaible with what is known up to now. 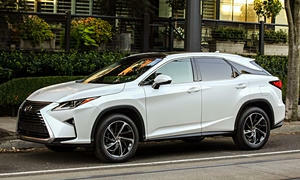 Lexus RX - durable. Space could be an issue for you. Price as well. 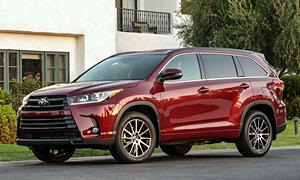 Toyota Highlander - durable. Space is probably okay but price will possibly be an issue. 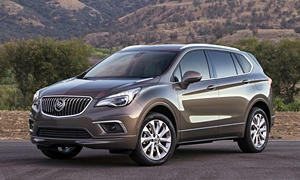 Buick Envision - only on the market in the USA for three years, but pretty reliable in that time. Made in China but designed in USA. Heavily discounted - up to $15,000 off on the 2018 model, less off on the 2019 model. Probaby too expensive as that means on a loaded model it is $35,000. Base model as low as $25,000 which you may not like as it lacks the turbo engine. 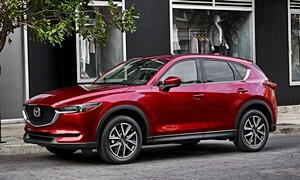 Mazda CX-5 - fairly reliable again. Also durable and in your price range. This maybe your best bet of all the above if the space works for you. 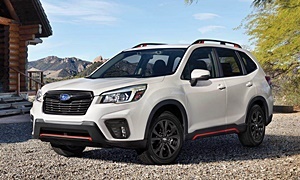 Subaru Forester - the car was redesigned this year so reliablity is unknown but in the past Subarus are generally reliable from the start. Not particularly expensive. The last generation besides some engine burning oil issues has been reliable (about 10% of the owners experience some engine oil burning - add oil and monitor it and you are fine). They are known for lasting as long as 200,000 if the engine is maintained with oil. Perhaps others will have some other alternatives. This is my list. Best of luck. AcuraT- I do see that reliability has improved with the 2014 generation of X5. So now I put it back on the tip of the list. I do also like the Highlander, especially 2014 and later. Legroom is good and it is very reliable. These to vehicles are the top choices I just have to pro and con it to see which one wins overall. Thanks for the response. Today at the auto show, I felt like the 2019 Envision's seats were extremely hard and had random pressure points in my back. Lumbar support was good though. Maybe they changed something with the new 2019s, but I remember the pre-refresh Envisions had good seats. Everybody has their own opinions with seats, but the Buick's were very hard. I didn't sit in a Lexus today, but I know their seats are much better. I'd check out the RX. 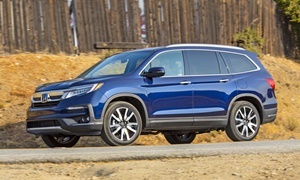 Honda's are very good, too, in the CR-V and Pilot. I think the seats in the CX-5 were OK. Well-bolstered, but not what the OP is looking for. Mazdas usually lack in thigh support and that has been changed with the 2020 Mazda3. Once that BMW breaks, it will also break your wallet. They are much more expensive to fix than most other brands. I rented a QX60 last month and drove it over 1700 miles in three days. Very good leather seats and soft ride, but the interior is so old. Thigh support was super good. A loaded Pathfinder is a better deal. Really, all unibody SUVs are slightly lifted shortened station wagons. You'll get a great deal on these. It is well-known that Nissan makes some superb seats. The rest of the car is average. You need to sit in all of them because everyone is different. We can only tell you what SUVs are actually good objectively. 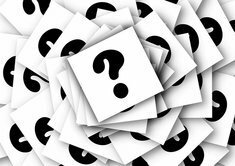 My top three for you are the Lexus RX (or perhaps Toyota Highlander), Honda Pilot, and maybe a used Envision.